The first official shot of Paul Reubens reprising his role of Penguin's father from Batman Returns, the family on Gotham will look like this. 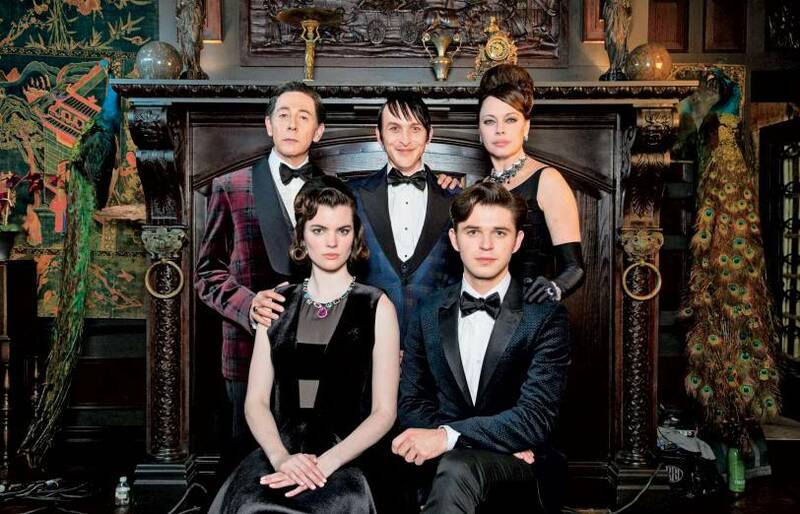 With a new wife and two children competing for Daddy Dearest's attention, Oswald (Robin Lord Taylor) might have trouble getting any love from his new-found and long-estranged father, Elijah Van Dahl. "He's a man with enormous wealth and even more secrets," EP John Stephens told TVInsider. While he hasn't revealed much about exactly how Penguin's father fits into the story - with Oswald now released from Arkham and "cured" we'll see what his next steps are in Gotham's high society. We also won't have to wait long, as Reubens makes his debut on the March 21, 2016 episode, "Mad Grey Dawn."